Considering your impact on the environment? Green event planning starts with mobile. The events industry has had an enormous impact on the environment in years past – but thanks to movements from within to promote sustainability, events are shedding their reputation for wastefulness and consumption. Innovation in all areas – but particularly mobile technology – is making it easier than ever reduce your environmental impact and create a green event planning strategy. At Guidebook, we’re proud of the platform we’ve built that is allowing planners to significantly reduce the resources they consume for any given event. And it’s not just us. In a survey we conducted, 70% of planners said that “going green” was an important piece of their events strategy. How does mobile tech help? Think about how much mobile tech has impacted your daily life. It’s understandable it has also transformed the events that we plan and attend. Our personal communication devices have changed how we engage with our surroundings, our acquaintances, and – of course – how we navigate events. Event apps, in particular, are now a fairly common staple thanks to the efficiencies they’ve afforded scheduling, sharing, and networking. The obvious environmental advantage is that they’re also increasingly reducing our reliance on printing. A commitment to reducing paper usage, paired with commitment to providing great mobile tech is a perfect start for anyone looking to up their green event planning game. Many organizations have committed to going paperless, which means reducing their carbon footprint. 95% of planners say that the best way to go green is to cut back on printing and shipping. 82% of planners who have gone mobile say that they have been able to reduce or remove paper printing altogether. Add in the fact that 87% of planners say that event technology makes an event better, and you have a recipe for positive ROI, happy attendees, and a smaller environmental impact! A common fear with adding sustainability measures into your events workflow is that the resources it would take to do so will outweigh any benefit you might get from being a fractionally more green event. While this might be true for large, sweeping measures, it’s not true for adopting mobile tech. Event apps are most commonly associated with a reduction in the per attendee cost of communication. On average, an event app makes up 1.2% of the per attendee cost of an event. Printing – we found – usually doubles that! In fact, regardless of what type of event you’re running, replacing paper with mobile tech always reduces your cost. While the events industry and green event planning has made a lot of progress over the past decade – there is still a lot of room for improvement. One event’s subset that has yet to reach its full potential is small events. We found, for example, that only 15% of planners are using mobile apps for events smaller than 100 attendees. Guidebook has specifically worked to make apps attainable for small events as well as large ones – so hopefully we’ll see that number increase over the next few years. The indicators for mobile growth are quite encouraging, however. 54% of planners say that they plan to use more apps in the future and 45% say that their attendees now expect an app (up from 40% last year). As you continue to consider green event planning and reducing your footprint, keep in mind the power that mobile tech has to replace a lot of your current communication and processes. 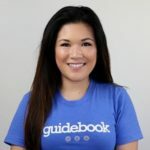 If you’re looking to try out mobile communication for the first time, or you’re experienced and looking to expand your reduction to some smaller events – Guidebook is free to start building. Give it a try now and instantly add some sustainability to your next event!